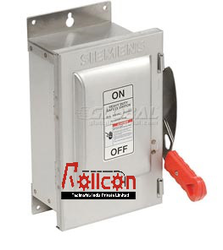 Limit switch automatically monitor and indicate whether the movement limits of a particular device have been exceeded. 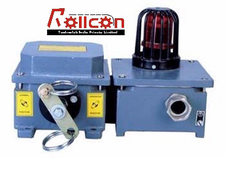 A standard industrial limit switch is an electromechanical device that contains an actuator linked to a series of contacts. 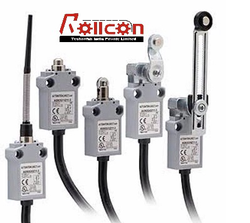 When an object meets the actuator, the limit switch triggers the contacts to either form or break an electrical connection. Limit switches are commonly employed in a wide range of applications and under a variety of operating conditions due to their ease of installation, relatively straightforward design, ruggedness, and reliability. Safety switches monitor the flow of electricity through a circuit and detect a problem that may pose a risk to personal safety and turn the power off within 0.03 of a second.